Forms processing starts from requirement analysis. The very first step involved in forms data processing is understanding what the data requirement is which could range from customer data, invoice data, customer survey, feedback collection etc. 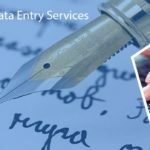 Based on the requirement, the Data Entry Company India will come up with a detailed strategy and forms design which should be apt to capture all required information. It should be simple enough for the customers to input the information, if required, and at the same time capture complete information required. It should be attractive enough to keep the customers engaged and minimize the input providing maximum suggestions where possible. Once forms are designed based on the requirement analysis, the next step is to reach out to the intended audience in the best possible ways. 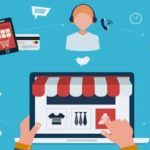 Most of the companies consider social media networks for maximum reach but that also involves considerable data to be analyzed before deciding on the right mix of online and offline campaigns. Voice surveys are also feasible as most of the customers find it easier to speak out their feedback rather than having to write or type it out. You can approach the best BPO Company that has the right infrastructure and resources to reach out to the maximum intended audience. Sometimes, the customer inputs the data digitally and some other times they do it offline by filling up forms or through voice surveys. The next step taken by Form Processing India is to input the offline data and convert or consolidate the information so that the diverse data comes together in a central repository in a single format. This is important for the next step which is the most critical process. Once the data is input and converted into a single format, the forms need to be processed and consolidated so that the information can be useful for the management. This is the last step during which the requirements are matched against the output. Consolidated information is presented to the management in a simple and comprehensive format they can understand and analyze. They use this information to take critical decisions such as marketing strategy, pricing and change in product line. 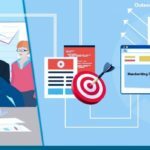 The right Forms processing partner would be one who comes out with comprehensive solutions covering all these major steps involved. Convenience, completion, accuracy and cost are all important factors to consider while deciding upon the right Forms processing partner. The above-mentioned inputs are the most critical factors which you need to consider.